Still a work in progress, I got my phone yesterday. Mecca EL and DWonder like this. The Hub widget is by far the most productive software feature! I insisted my Mrs download and install it on her Note 8 too and she loves it! So glad you have a lot more freedom to change size of icons so the widget makes the most of the space, hence my tiny icons, I love it!!! Oh and I just got to use Redactor for the first time too! It's not allowing me to upload my pic. It says upload failed in the main editor or if I try to edit my post it say I may not have permission.... and I have set Storage as a permission. Just previewed and seems to be OK. I'm currently in the browser on not on the Forums app. Not sure why it won't let me but hey, there's my home screen. You need to edit the screenshot to a .jpg. You can do this in the file manager. How'd you change the icon for the app tray? Nova launcher then use the whicons icon pack. 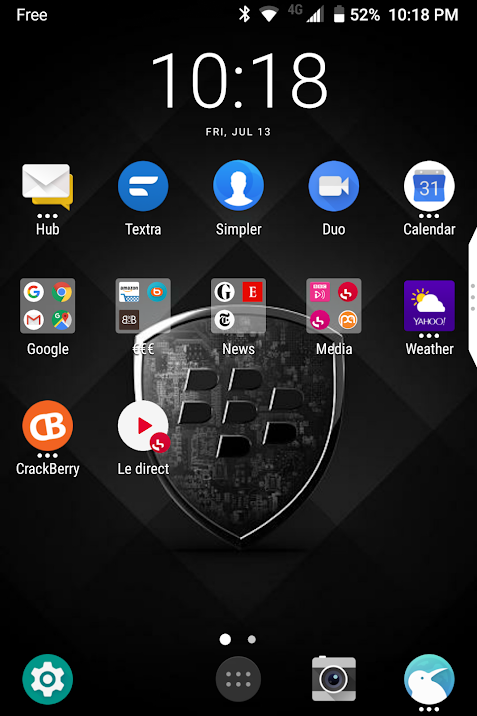 The bb logo is one of the icons in there. New to the key2, silly questions, how do you use a different launcher? How do you post homescreen / screenshots from the key2? My current home screen which will probably change when I get a few more wallpapers on the device, but I like this one for now. 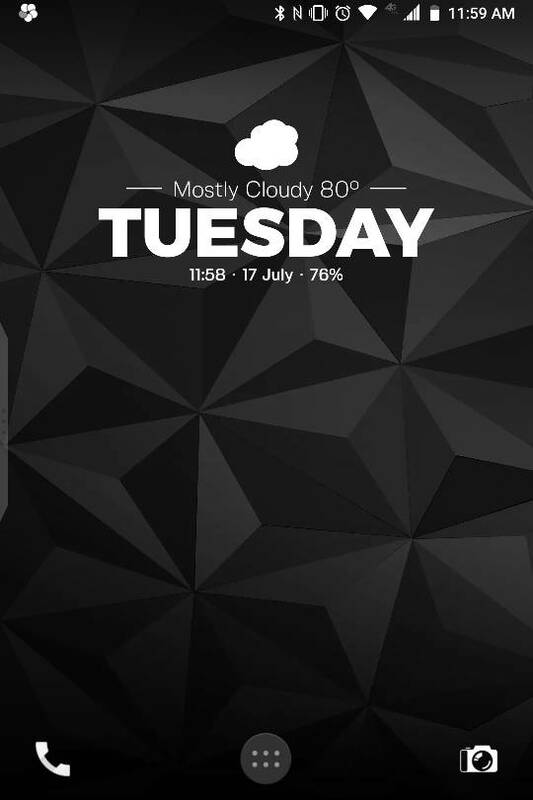 hey there... what's that clock/weather widget? thanks! Egonzalez1978, SunToucher and CalSandi like this. Using KWGT Pro widget, Flight Icon pack and stock wallpaper. Blackberryphosphamide, hplovecraft, Jason Coombs1 and 3 others like this.